Bachelor of Music- DePaul University, Chicago. 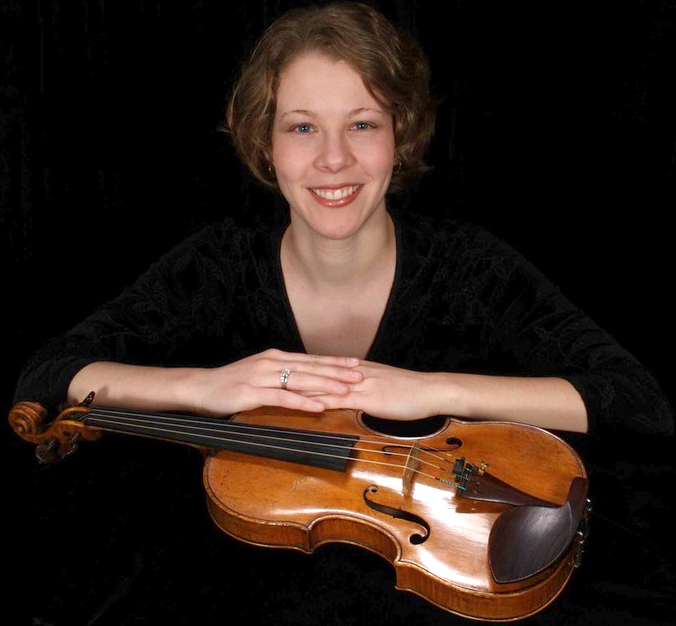 Originally from Chicago, Ms. Black studied with world-renowned violin pedagogue Mark Zinger for seven years. Under his nurturing tutelage, she learned the great importance of strong technical foundation, proper practice technique and perseverance. Ms. Black credits many aspects of her warm, yet firm, teaching style to Mr. Zinger. Her other principal teachers included Andrew Jennings and Paul Kantor. Before joining CMC, Kate was on faculty at the Merit School of Music in Chicago and continues to be a guest coach for the Chicago Trio Summer Chamber Music Workshops. She collaborates as a guest coach with Three Rivers Young People's Orchestra and was recently appointed to Youth Chamber Connection's coaching faculty. Ms. Black was also a violin instructor for 10 years at the Carnegie Mellon Preparatory School in Pittsburgh. In addition to her love of teaching, Kate enjoys orchestral performance. While in Chicago, Ms. Black was a member of the Civic Orchestra of Chicago and performed frequently with the chamber orchestra Concertante di Chicago. While living in Pittsburgh, she held the Assistant Concertmaster positions in the Wheeling, Westmoreland and Youngstown Symphonies and held the position of Principal Second Violin in the Pittsburgh Live Music Chamber Orchestra. She was also Assistant Principal Second Violin with the West Virginia Symphony. Currently, Ms. Black is a member of the Pittsburgh Opera Orchestra. Kate has enjoyed performing with many summer music festivals such as the National Repertory Orchestra in Breckenridge, Colorado, Sunflower Music Festival in Topeka, Kansas and Grant Park Music Festival in Chicago.